What took so long, is probably what LinkedIn (NYSE:LNKD) users will be saying when the company finally announced native video support. 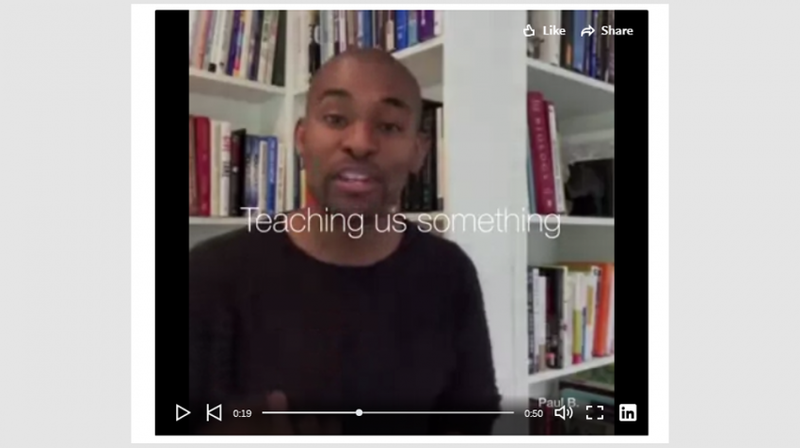 After a short beta test, LinkedIn Video is going to allow a technology synonymous with social media and the way we communicate today, video. 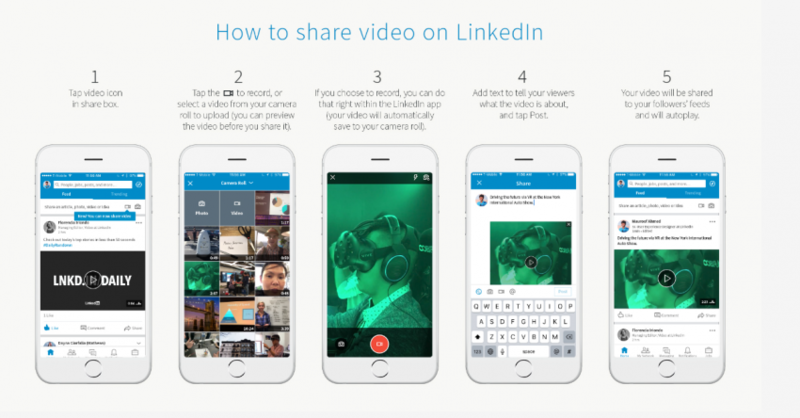 LinkedIn did have limited video with the release of a standalone iOS app called Record in 2016. But after Microsoft bought LinkedIn, more social media features started to be implemented in earnest, with video being the latest one. Pete Davies, Group Product Manager at LinkedIn, said in the company blog, the addition of LinkedIn Video was to further help the conversations its members are having about their work, career and interests. When Facebook deployed its native video format, the company started experiencing a dramatic rise in viewership and engagement, both on desktops and mobile. LinkedIn is expecting the same level of engagement with its 500 million users around the world. For small businesses using the platform to market their brand and find talent, video will give their message more impact. LinkedIn has made the process straightforward and easy to use. All you have to do is go to the post button (Android) or share box at the top of the feed (iOS) and tap the video icon. You can then start recording a video, or upload previously recorded videos. Once you post the video, LinkedIn gives you insights into who is watching it, how many views, likes, and comments your video is getting. Additional data includes the companies watching your video, as well as individuals with their titles and locations. A small business can use this information to find out who is engaging with the video for direct marketing. In the case of LinkedIn, the beta or limited release resulted in videos being shared 20 times more than any other content. And the full release is expected to do even better. Currently Snapchat (10 billion), Facebook (8 billion), and YouTube alone (4 billion) have a total of 22 billion daily video views. It is the preferred medium for the way we communicate. And as video collaboration continues to increase in the workplace, it will only make the social network of the working world (LinkedIn) more powerful. LinkedIn Video is rolling out globally over the coming weeks.